Youre bound to give off a homey vibe with this birdhouse inspired crossbody by Betsey Johnson. 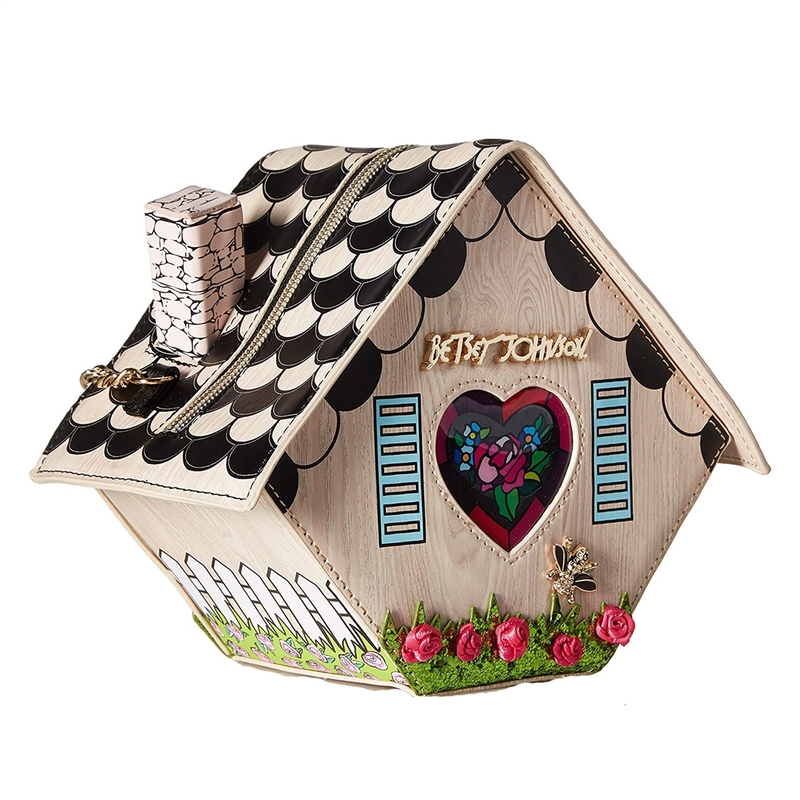 Its charming shape is a cozy home for all of your essentials. 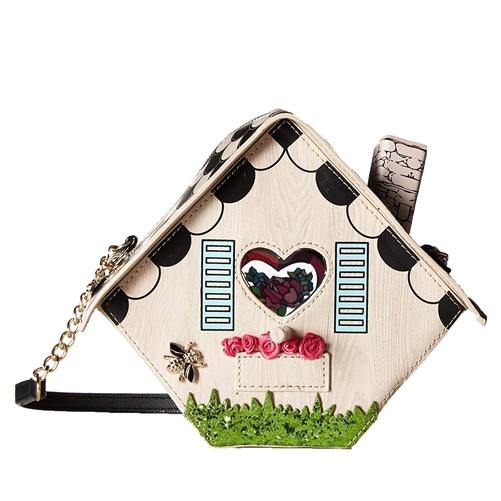 Crossbody shaped in a quaint birdhouse. 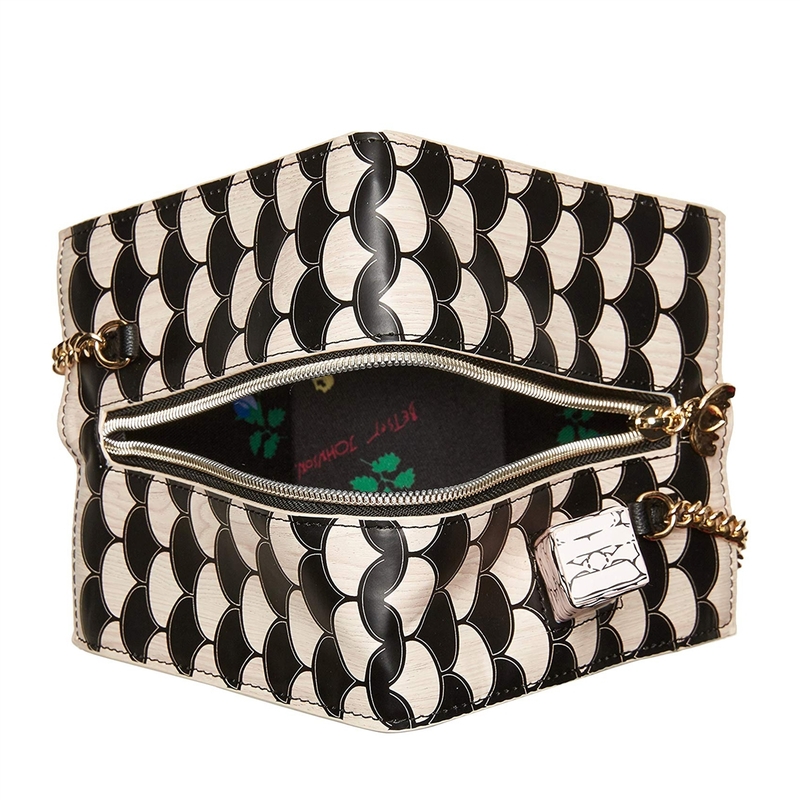 Feature rossette and bee applique.